Your wedding is perhaps the biggest day in your lifetime. Now that you have picked out your special day and now you are faced with a mound of initiations to send to the lucky ones who you've decided to share your day with, you'll need to learn how to stuff wedding invitations. Surprisingly, stuffing wedding invitations isn't easy and there is a particular way you need to put the various parts of the invitation into the lovely envelopes. Let's learn how it's done. The reception cards, that tell people where your reception is and any details about the reception itself. Optional tissue paper to keep the ink from smearing. It isn't as necessary now that many invitations are smear-free, but still, it looks nice in the envelope. Check to make sure the inner and outer envelopes have the address correctly on them and are all stamped before putting them together. This way, there won't be any writing mark indentations on the invitation and the invitations will be neater. Put the invitation inside the inner envelope. Make sure that the front of the invitation is facing the open part of the envelope. This is where you'd put tissue paper in between the layers if you want to use it. Put the reception cards facing up on top of your invitation. If the invitation is folded, you will put these enclosures inside the invitation and not on the top of the invitation. Put the other cards, such as those for a map or for hotel accommodations on the top part of the card you're using for the reception. Put the reply envelope atop the rest of the cards. The card itself should be underneath the flap of the reply envelope. Put the card face up so that the person can see the printed part of the reply card first. Never put the reply card within the reply envelope. It should stay outside. Finally, put the unsealed inner envelope inside the outer envelope. Make sure the names are facing the back of the flap. Once everything has been put together and sealed, you'll have the classiest envelopes ready to send out to announce your big day. 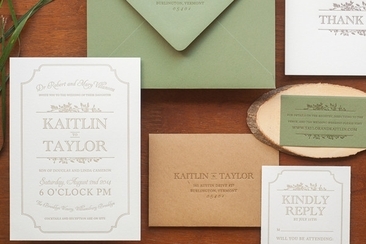 This is how to stuff wedding invitations that everyone should remember. You can also watch the video below to learn it. Besides knowing how to stuff your wedding invitations properly, there are other things you'll want to remember about your invitations. These include the following. 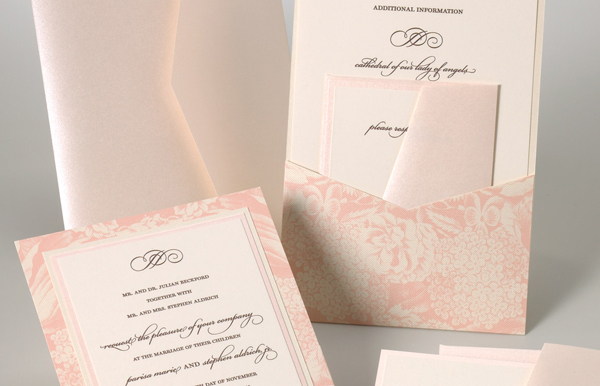 You'll need to be as organized as possible at least one month before you decide to send out your invitations. You will be sending them out about 6 to 8 weeks before your actual wedding. This will help your invited guests have as much time as possible to rearrange their schedules, decide if they can come, and send back their return envelope to you. This will also help you establish a good and accurate head count of who will be attending the reception with in a week or two before your big day. 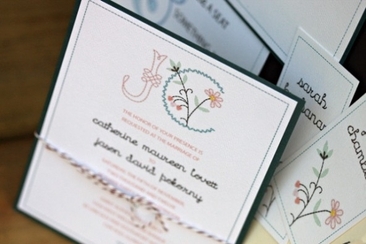 There is a specific etiquette for assembling and addressing your wedding invitations. While the rules have relaxed a bit, there are some requirements you can't pass up. For instance, the name of your guest or guests should be fully and completely labeled on the outer part of the envelope. This isn't the time to use initials or nicknames for people. Make sure you use the right social titles on your envelope. This means writing out "Mr. and Mrs." where applicable and using a person's suffix if they have. If the invitation is very formal, use the term "Junior" rather than the abbreviation for the word. Now that you know how to stuff wedding invitations, you need to make sure you address them properly. Don't use abbreviations for "street", "post office box", and "apartment", and instead spell them out directly. Spell out any house number less than twenty and don't use abbreviations for cities and states. It should all be spelled out in their entirety. You should write out all the words in the return address envelope as well. The best place for putting the printed return address is on the back flap of the envelope. 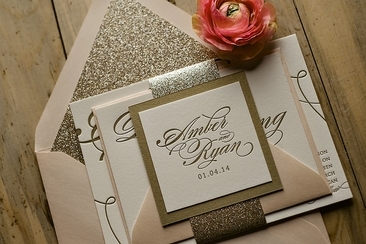 You can use blind embossing or any type of colorless raised lettering for the invitations themselves so that your guests can see the fancy engraving when they get the invitation. Unfortunately, although you can still get blind embossing, the US Postal Service is not happy with this because they are hard to read. Make sure you weigh the invitation before mailing it. Sometimes the inserts add to the weight of the envelope or perhaps it has an unusual shape which means it needs more postage than the regular envelope. You can purchase specialized themed stamps for the return envelope and the invitation envelope. You might have to hunt around to different post offices to find one that has wedding-themed stamps. You can also buy them on the internet if you make enough time to do this before the wedding. If you have maps or other types of inserts for those guests coming from out of town, these will be heavier envelopes than those sent to guests who are local. These envelopes will weigh more and will need extra postage. Weigh these types of envelopes separately to make sure you have enough postage on all envelopes. See if your post office has the ability to hand stamp your envelopes. These make for a different type of postmark that is more attractive than those run through the automatic sorting machine. You want to be aware of the standard wedding invitation size when it comes to design your own wedding invitations on wedding budget. 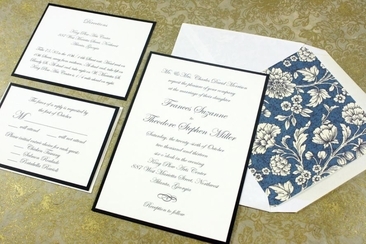 Know how to choose the right size invitation here. When planning a guest list for your wedding, it is important to check the etiquette for sending wedding invitations to the colleagues. Click here for the full guide. 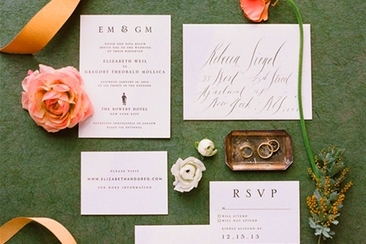 A complete wedding invitation guide for dummies! If you don’t know where to start, when to order or how to write your invitations, you’ve got it here! Read now!